At Napleton's Kia of Elmhurst we take pride in our dedication to a positive shopping environment. It is not enough to do a good job most of the time. We're dedicated to exceeding every guest's expectations, so they may sing our praises to others. That is how we've earned an outstanding reputation as the premier Chicago-land Kia dealership. Read our reviews from around the web below or write us a review about your shopping experience. We greatly appreciate your business and your feedback! If there are any service issues that remain unresolved, please contact us and we will work to promptly address them. I bought my very first car in 2015 from Ed Napleton’s Kia and it was time for an upgrade. I was curious about leasing this time around and Kyle Gonzalez was such an amazing help. He was knowledgeable and patient; I am very pleased with the transaction and his wonderful customer service. I would definitely recommend this dealership. If you have any questions ask for Kyle, you won’t be disappointed. 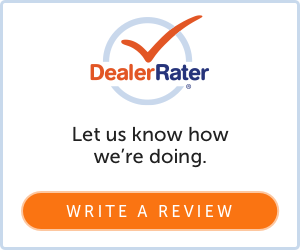 This was my first time purchasing a car and Kyle Gonzalez made it a very favorable experience. He assisted my family and I and answered all questions. He helped pick out a car that was perfect for me and fit our budget. Very satisfied customer and grateful to have him as our sales consultant. George was great! Car we wanted had been sold earlier in the day so he located an almost identical car on another lot and got it to Elmhurst the next day. Got the car we wanted at the price we wanted. Ask for him - you'll be happy you did! Had a great salesman Kyle G. and financials Jesus! they helped me with the whole speedy process. Couldn't been better. Firas was the most honest, kind, straight to the point sales rep I ever met. I came in at 8pm and by 9pm I have a brand new car. Everyone was sweet and none judgemental. Truly appreciate it!!! Great dealership!!!! Ask for George, very nice guy. Very nice selection of preowned cars. My sales rep George worked with the managers to get the car i wanted to fit my budget also gave me free lifetime car washes. Nice touch!! From start to finish Kyle went above and beyond to answer every question my wife and I had and educated us with the pros and cons of each vehicle we showed interest in. He listened to exactly what we wanted and found the perfect car for us. Kyle was very patient and took he’s time showing my wife and I all the features in our new 2019 Kia Sportage that we were pleased to purchase.